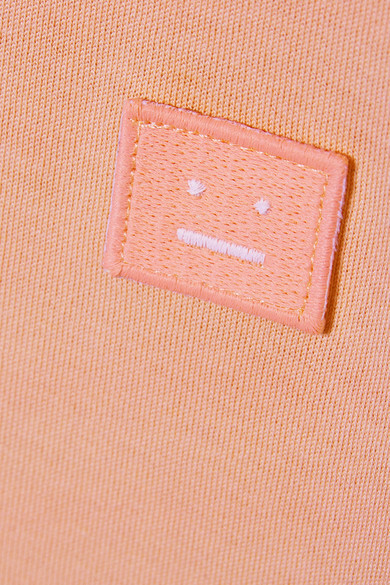 Acne Studios' signature emoji 'Face' is so popular, the brand created an entire collection dedicated to the motif. 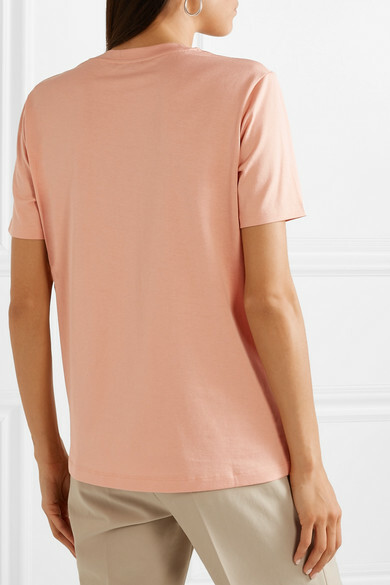 Appliquéd at the chest, this 'Ellison' T-shirt is cut from cotton-jersey and has a comfortably relaxed fit. 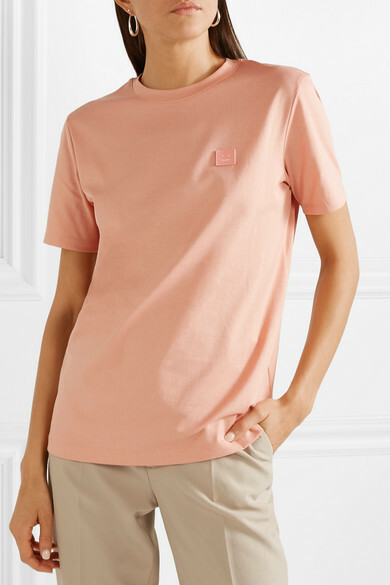 We love the way the pastel-pink hue complements neutrals - think beige, cream or light-gray. 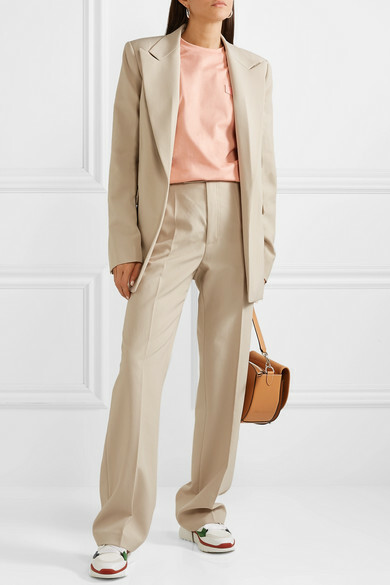 Shown here with: Helmut Lang Pants, Helmut Lang Blazer, JW Anderson Shoulder bag, Chloé Sneakers, Sophie Buhai Earrings.